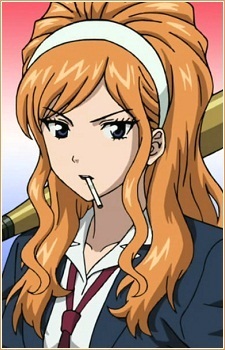 She's the leader of the yankee girls, and claims herself as the "Onihime". She told her three followers to bring Himeko to the park near a train station to beat her up. She later then found out that the legendary "Onihime" was Himeko herself. After finding the truth, she became Himeko's follower and would only listen to her. It is confirmed later that she has feelings for Switch because he always supports her in the back by going to every concert and stage performed since her debut. Later on, she becomes a famous voice actress.